For the absolute bargain price we offer here unique taxiflights, they are also called ferry flight. 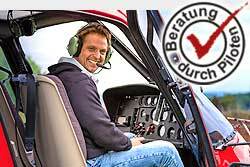 The flight starts at the airport Hamburg Fuhlsbüttel and the landing takes place at the airport Sierksdorf / Hof Altona. Located 900 m from the Baltic Sea. The flight starts in the morning at about 9 am o'clock. The flight takes place in the evening around 7 pm o'clock. The planned dates are as follows: 23.07./29.07./06.08./12.08./20.08. Per Date maximum 3 persons. The number of passengers can be selected in the ordering process.